Maybe you’re an accountant, or you’re really good at fixing cars. Maybe you’re both. Maybe you’re a doctor or a nurse, or you have the gift of teaching. Or maybe your passion is prayer, or you’ve got a heart to work with missionary kids. Wherever your skills and interests may lie, we’d love the opportunity to explore together how God could use you in one of AIM’s six strategic avenues of ministry. Africa Inland Mission believes the call to missions is a call to community. Countless communities in Africa are still without the Gospel. AIM is committed to reaching these communities with the Gospel message, and helping to establish maturing churches among them. AIM’s Community Outreach ministries often include helping to meet physical needs – sharing Christ in both word and deed. Opportunities in Community Outreach include evangelism and church planting, community health and development, agriculture, animal health, and more. AIM’s Training In Ministry Outreach (TIMO) program provides new missionaries with the opportunity to learn missions while serving in an outreach ministry. AIM also has outreach ministry to Africans living outside of Africa. Picture a sprawling tree on an African plain. Picture a group of a about nine people sitting on some logs beneath it, and one standing near the trunk, facing the others, using his arms to stress points as he speaks. You’re picturing a church – the body of Christ, as it sometimes occurs in Africa. In large buildings, or in the shade of a tree, God is working to grow His Kingdom, and AIM has been privileged to be a part of that work for over 100 years. Through evangelism and church planting, the Kingdom continues to grow, and the sweet sound of worship rises across the continent. 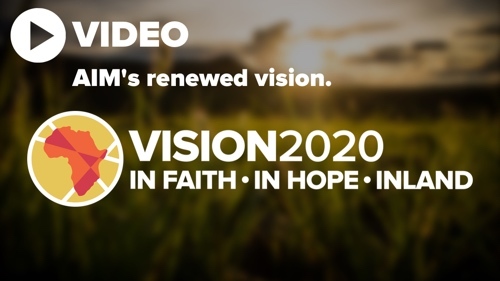 Contact AIM to explore how you can be involved in this exciting ministry. Day-to-day life can be hard in Africa. Sometimes the rain simply does not fall. Or the firewood gets harder and harder to find. Or the animals fall ill and die. The ministry of community development helps make things better. Improved agricultural methods and drought resistant crops, reforestation methods, animal health solutions, and water projects all serve to make life better. And the help comes with a message about a Savior, who can quench our thirst, feed our hunger, and secure our eternal future. If you have expertise in in the area of community development, we’d love to talk. Men and women, boys and girls across Africa are eager to read and understand the Word of God. Linguists and literacy workers help to meet this urgent need. 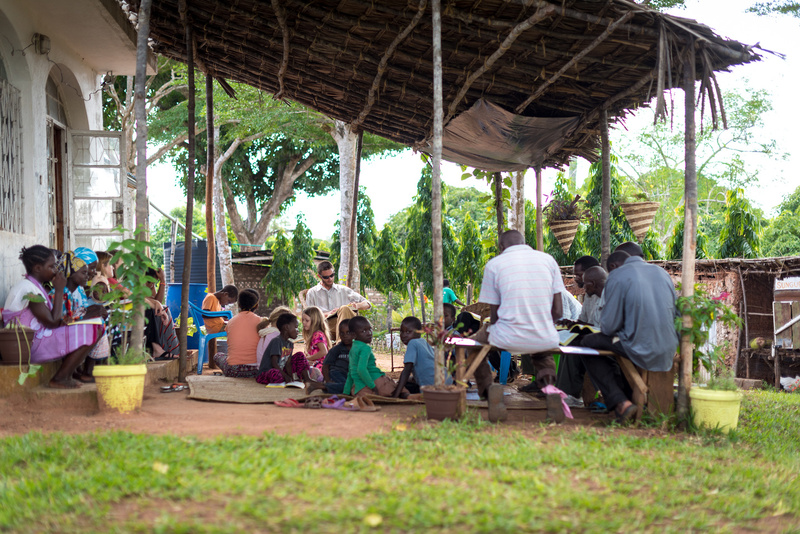 One of the ways AIM approaches outreach to the least-reached peoples of Africa is through our two-year field-based training program, TIMO, or Training In Ministry Outreach. Africa Inland Mission believes the call to missions is a call to partnership. AIM’s Support Services team beautifully exemplifies the Body of Christ in action, each one using their God-given gifts and abilities to make AIM’s ministry in Africa possible. Support Services personnel are professional men and women who serve the African Church and their fellow missionaries through their skills and training in aviation, IT, finance, administration, engineering, auto repair, carpentry, and more. People with administrative gifts are needed to ensure the effectiveness of AIM’s many ministries. Administrators are being used of God in Africa in a wide range of roles including AIM’s International Services, a support ministry of AIM, as well as in schools and other institutions. People in these roles can be managers, accountants, bookkeepers, and administrative assistants. As the world becomes more dependent upon the internet and computers so do AIM’s Missionaries. Computers are now vital to all of our ministries, even those in remote areas of Africa. Having people skilled and knowledgeable in local area networks, web design, hardware repair, and other information technologies is vital and needed both short term and long term. Africa is a rugged continent, and the airplane has proven an outstanding tool for getting places fast, and getting to places where travel by road is quite difficult. 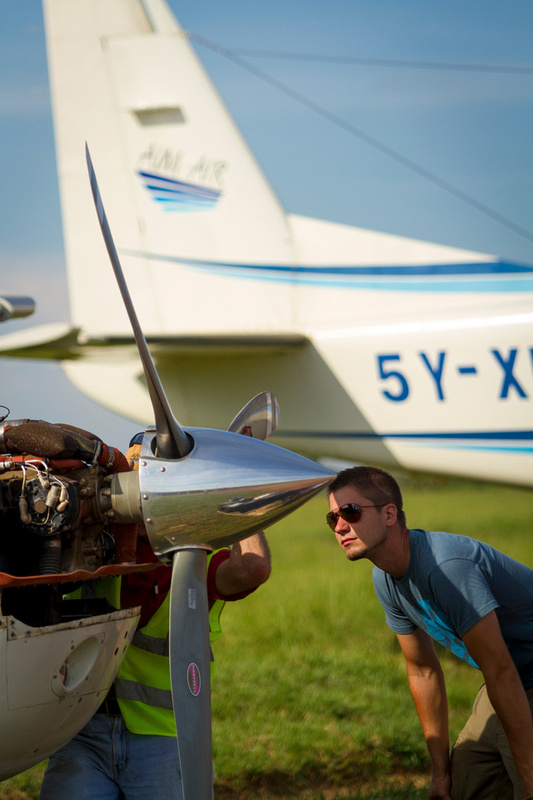 Pilots and aircraft mechanics are an essential part of AIM’s Support Services team, providing aviation services for missionaries in remote locations, flying in needed supplies, and assisting in medical and other evacuations. AIM AIR, AIM’s airwing, has bases in both Nairobi, Kenya, and Entebbe, Uganda. If you have engineering experience or training in any of the trades, God can use you in Africa as part of AIM’s Support Services team. The ministry of AIM Tech provides building and construction services for missionary team members, develops water systems for rural communities, builds churches in remote areas, and meets many other critical needs that arise. AIM has long recognized the need to provide our missionaries with a team of men and women who can minister to them through counseling services and through pastoral care. Missions can at times be stressful, and daily ministry can be wearing. Professional counselors and those who can minister on a pastoral level are needed to fulfill this critical role. Africa Inland Mission believes the call to missions is a call to wholeness. Jesus healed people – inside and out. Through Medical Missions, AIM seeks to do the same, offering medical care in Jesus’ name in hopes of making people whole, both physically and spiritually. Africa’s many medical needs provide doorways of opportunity for trained medical professionals including doctors, nurses, physical therapists, and others to present Christ’s love and compassion through medical care. 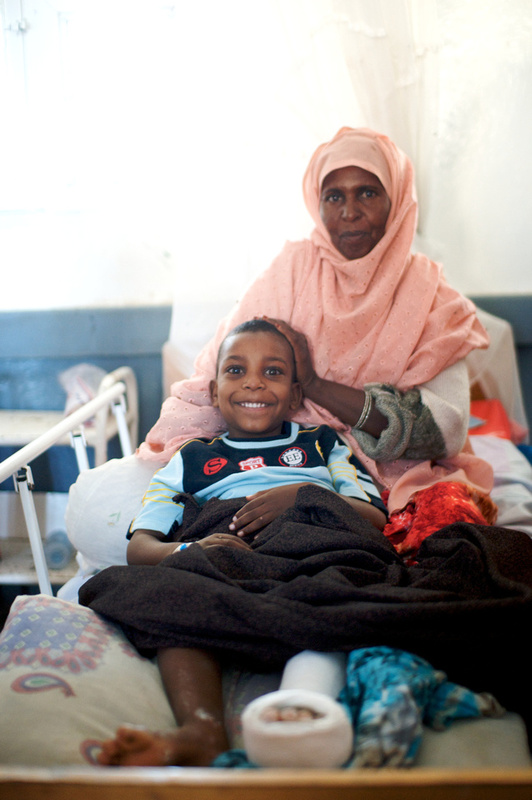 Doctors and Surgeons are needed in locations throughout Africa, in large hospitals and in smaller rural settings. Doctors often travel to remote locations to provide clinics for those who may not have access to a hospital or otherwise seek medical care. In addition to providing medical care, some ministries provide opportunities for training other medical professionals. Quality nursing care is needed in Africa as well as nurses who can train other nurses. On a continent facing so many health needs, this profession offers the opportunity to touch many lives in the name of Jesus. Community Health Workers have the opportunity to make people’s lives better through education on sanitation and hygiene, child care advice, pre-and post-natal advice, treatment of minor illnesses, teaching better nutrition and much more. This ministry provides inroads into people’s lives and is a wonderful opportunity for sharing Christ and for discipleship. Many African lives have been changed through the ministry of Physical Therapy. Many children can now walk who before never could. Muscles have grown stronger, and postures have grown straighter. By providing traveling clinics, some physical therapists are able to help patients in remote locations who would otherwise have no access to treatment. 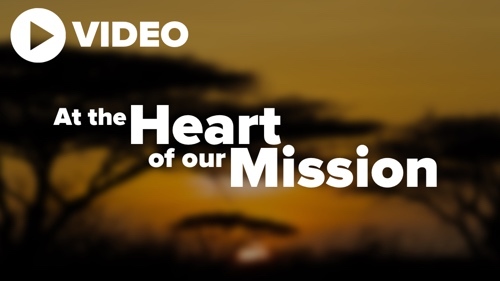 Africa Inland Mission believes the call to missions is a call to discipleship. One of Christ’s primary ministries while on earth was the preparation of the Church through the discipleship of 12 men. The Church in Africa has grown at a tremendous rate and is quickly becoming the center of communities and a source of hope for generations to come, but there is a severe shortage of pastors and trained teachers of the Word. In fact, some pastors are responsible for up to 20 congregations, far more than they can effectively shepherd. The need for godly church leaders is great. AIM is committed to help meet this need through Leadership Training. 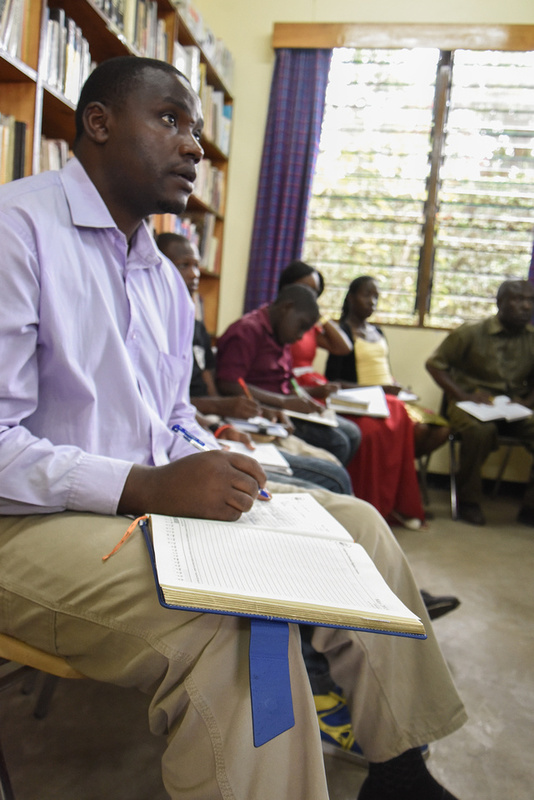 If you have a solid foundation for Bible teaching and a heart for people, there are many exciting opportunities to make a real difference through Leadership Training in Africa. As the church in Africa grows, so too does the need for godly church leadership. AIM is committed to serving Africa’s church by providing personnel to teach in many of Africa’s fine Bible schools and seminaries. With the right background, you can make a tremendous contribution in this way. As you interact with students in and out of the classroom, you’ll have opportunities to invest, not only in their lives, but in the lives that they will ultimately touch through in their future ministries. One of the realities of church life in Africa is that there are not enough pastors. Often it is up to the lay leaders of a local church to shepherd the congregation, and if they are not well trained, this can lead to problems. Theological Education by Extension (TEE) was developed with this in mind. TEE provides lay leadership with an opportunity to receive quality Bible training without attending Bible school or seminary. Whatever your ministry might be in Africa – whether you’re a pilot, a doctor, or an administrative assistant, you are going to find opportunities to invest yourself in the lives of others through discipleship. Maybe this will mean sharing lunch together, studying a book of the Bible, and praying, or starting a ladies’ craft circle. Whatever form it takes, discipleship is an integral part of the overall ministry of Africa Inland Mission. Africa Inland Mission believes the call to missions is a call to all generations. Over half of Africa’s population is under 15 years of age, many orphaned by AIDS, war, famine, and disease. AIM is committed to reaching Africa’s youth by any possible means. Opportunities to minister include Bible studies, teaching in national schools, ministry to street children and orphans, literacy work, vocational training, ministry to the children of missionaries and much more. Even if your ministry is not formally youth related, Africa’s youth are everywhere – hungry for love, hungry for truth, and hungry for a better future. 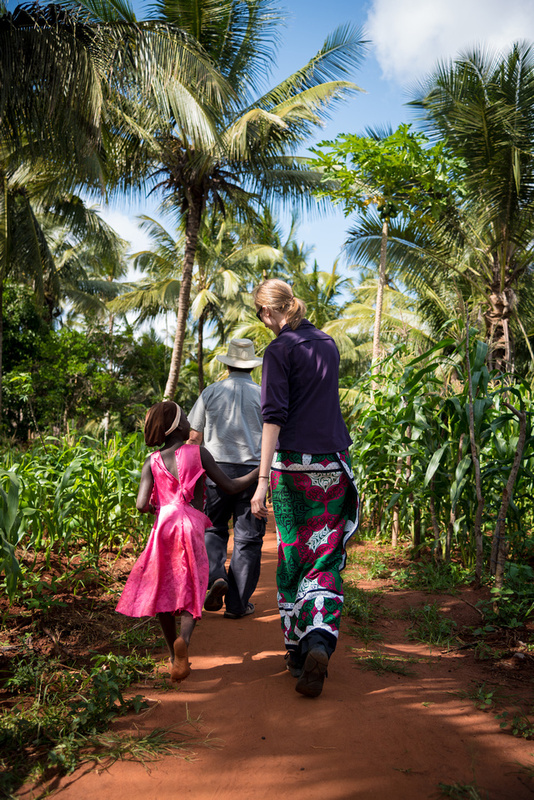 In Africa, ministry to youth is just outside the door, on every pathway, in every street. Just follow the sound of laughter. It is estimated that over one billion people are currently learning English around the world. Opportunities to teach English exist in many of AIM’s countries of service. This ministry provides inroads for sharing Christ and for discipleship as you interact and build relationships with your students. 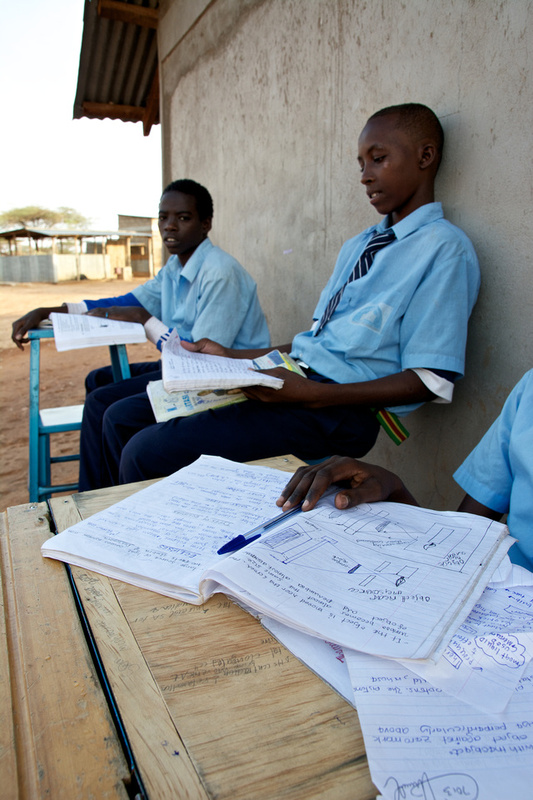 Teaching in African national schools provides an opportunity to invest in the future of Africa today. Each day you’ll have the unique opportunity to live out your Christianity among children whose lives have been impacted by AIDS, war, and poverty. You’ll have the opportunity to teach, to mentor, and to disciple. And while they learn and grow, you will too. 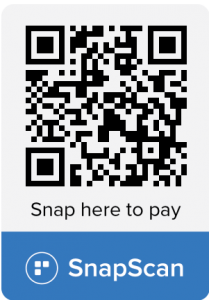 Want to make a difference in the lives of missionary kids? Consider being a dorm parent. As a dorm parent you’ll have the opportunity to invest yourself in the lives of children and provide the loving care and support they need as the live and learn in a boarding school setting. Africa Inland Mission seeks highly-qualified teachers for all subjects and grade levels to teach in a number of MK schools in Africa. See related links at right to learn more about some of the schools where we minister. As a teacher in an MK school, you’ll have the opportunity to teach students from around the world. AIDS has left over 12 million children in sub-Saharan Africa without parents. AIM has a number of ministries dedicated to providing for the daily needs of these children and to give them hope for eternity through faith in Jesus Christ.